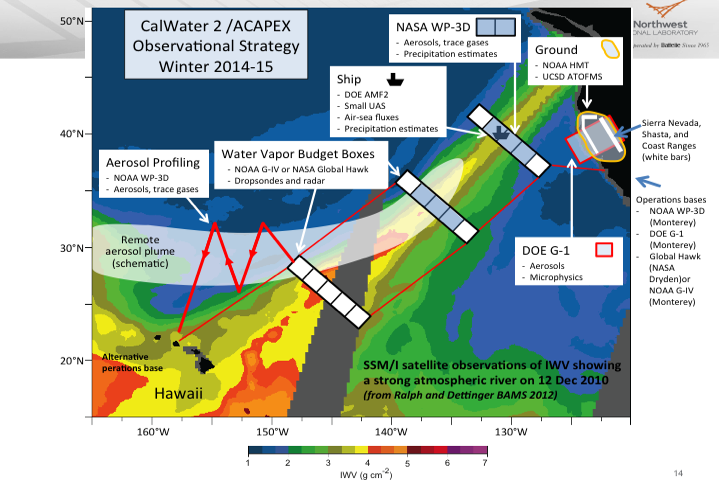 The DOE facilities are part of the ARM Cloud Aerosol Precipitation Experiment (ACAPEX) experiment addressing (1) aerosol impacts on clouds and precipitation and (2) atmospheric rivers. The NOAA facilities were requested also based on the CalWater vision, with an emphasis on atmospheric-river science questions. Atmospheric Rivers: Observations, Dynamics, Modeling, Impacts and Applications (Conveners: Marty Ralph, Duane Waliser, Jason Cordeira). 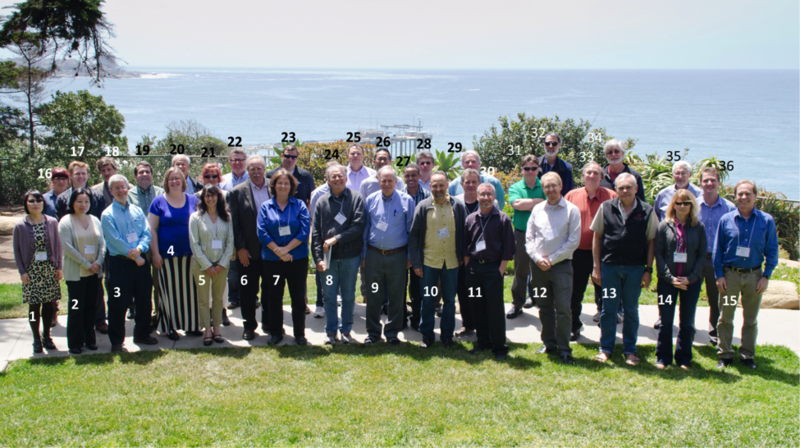 Photo of most workshop participants at the CalWater 2015 – ACAPEX workshop at Scripps, April 2014.